OnePlus CEO Pete Lau said today that the next new OnePlus handset, possibly named the OnePlus 6, will be released late in the second quarter of this year and will be powered by the Snapdragon 845 chipset. OnePlus set sales records late last year with the launch of the OnePlus 5T, which is now the company's fastest and best-selling phone. Those records previously belonged to the OnePlus 5, which was launched late last June. In addition, Lau said that OnePlus would start talking with U.S. carriers this year about selling its devices through one or more stateside wireless operators. 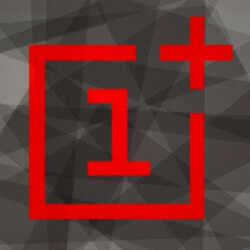 The company initially required that those buying its phones have an invitation from OnePlus to make the purchase. This allowed the company, new at the time, to save money by matching the number of phones built to the number it sold. Eventually, the company dropped the invitation system as its handsets became more popular and OnePlus got bigger. Analysts estimate that 85% to 90% of U.S. consumers purchase their phones through their carrier, which means that OnePlus is currently missing out on this huge segment of the market. Making a deal with one or more U.S. carriers will give OnePlus access to millions of potential new customers. I would be interested as long as they made a CDMA or Dual Band version. The US doesn't want competition in the spying on users thing. Which is pretty freakin' hypocritical considering the U.S. take on privacy lol. No not at all. I take people who believe in and spread conspiracy as jokes. In your case your conspiracy is chinese conspiracy. Op got popular because of near stock experience, low price, and huge mod community. If they sell through carriers then there are bloatwares, lock bootloader, slow update. So they just like Galaxy or LG phones but without brand recognition. OnePlus may have a better chance of getting a deal than Huawei with the Carriers but it might fall through the cracks like the Huawei situation. I wouldn’t buy any of their device with any kinda commitment. Maybe only as a cheaper temporary replacement when my primary phone breaks.